I’m working on something but may not be able to post it today (it’s still in the kitchen). In the meantime, my lunch today (both are favorites of mine). From our neighborhood Safeway. 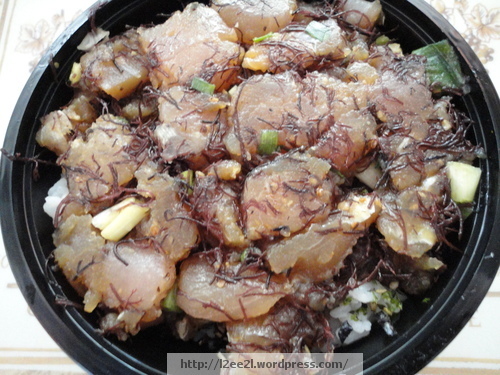 raw fish, limu (a type of native seaweed), and a bed of rice. 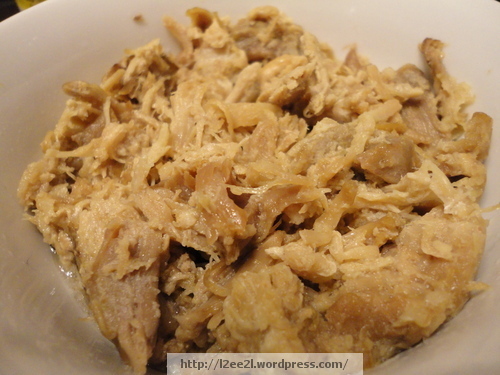 Kalua pork, frozen, not fresh (beggar can’t be choosy). It’s all good.